Singaporeans love spending the weekend with the family while watching movies whether it is inside the house or in the moviehouse. In fact, many people think that watching movies is one of the most pleasant experiences. One good thing about movies is that it is subjective. It may be memorable and beautiful to us but for some, it is the other way around. Ted 2: Ted 1 was a success that the director decided to have another one only this time, it did not reach its potential. There is a limit for the adorable “Ted” and when he throws statements about the judicial process, civil rights and racism, people seem to be discouraged that even the appearances of Mark Wahlberg, Amanda Seyfriend and Morgan Freeman did not make up. 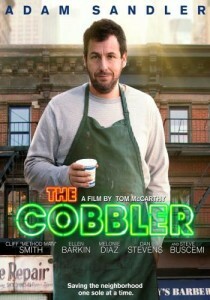 The Cobbler: The Cobbler is an attempt of the director, McCarthy to redeem Adam Sandler but it did not pay off. McCarthy is famous for his warm stories but this time, it did not work because of the sentimentality that was overwrought. Mortdecai: Many critics already considered Mortdecai a blunder. Despite of the famous character, Mortdecai did not live to its expectation. The movie banked on the new image of Depp but it did not help the movie. Mall Cop 2: Paul Blart is famous for his fun characters but not this time. Mall Cop 2 is full of recurrent antics, humour and gags. The humour is barely enough to sustain the whole movie. Fantastic Four: For the young characters of Fantastic Four, the movie is a dream come true but they have to accept that there are audiences who were not satisfied. Critics said that the movie is messy and uninspired. The directors did not handle the pressure. 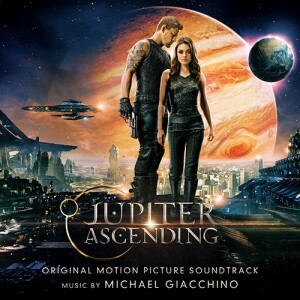 Jupiter Ascending: Channing Tatum plus Mila Kunis should be a spectacle but it did not even come near. Although one has to commend the space display and grandiose. Critics noticed the conspicuous flaws in its dialogues and clichés. For those who watched these movies, they certainly destroyed our expectations and they only managed to disappoint us but all in all, it is still a good year for movies. For those who haven’t had the disappointment of watching any of the movies mentioned above, this article will serve as their warning.